1. I turned 30 on Monday, and each of my family members did their best to make it a fun and special day! We ended the day with a steak dinner at my favorite restaurant. It was a great day…I guess turning 30 can’t be that bad when people still think you’re 18. Ha! 4. 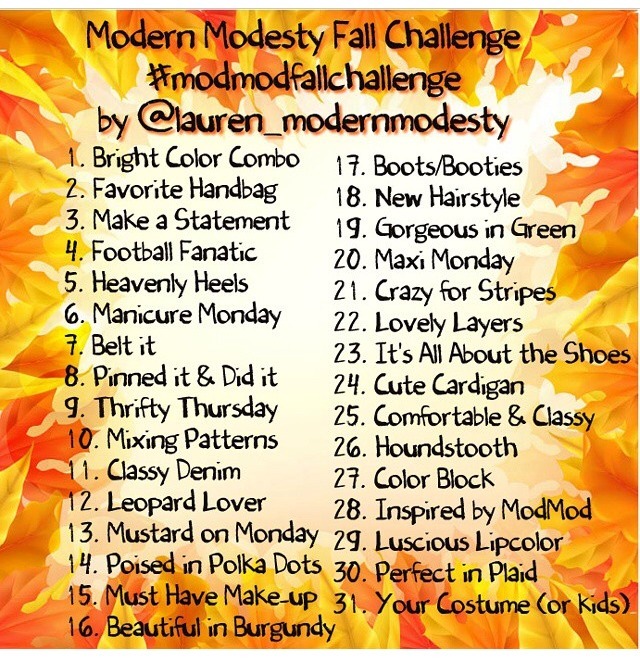 I’m excited to participate in Modern Modesty’s Fall Challenge on Instagram! I’ve never committed to one of these before, but I think it will be great inspiration for each day’s outfit! It starts October first – if you want to participate, just use the hashtag #modmodfallchallenge. 5. 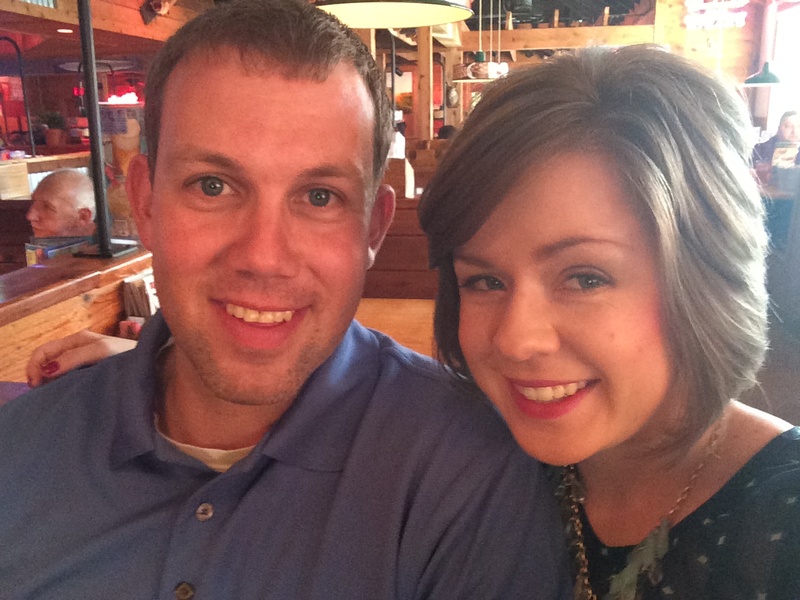 My hubs has the day off today, and I’m super excited to hang out with him! Previous Post I Could Live In This Outfit! Have a great day Whitney! Enjoy your birthday all week. Thanks, Arlene! It’s always fun to spread out the celebration, isn’t it? Haaaaaaaaaaaaappppy belated 30th! My 30s are better than my 20s so I wish the same for you!!! Love that dress, so fabulous! 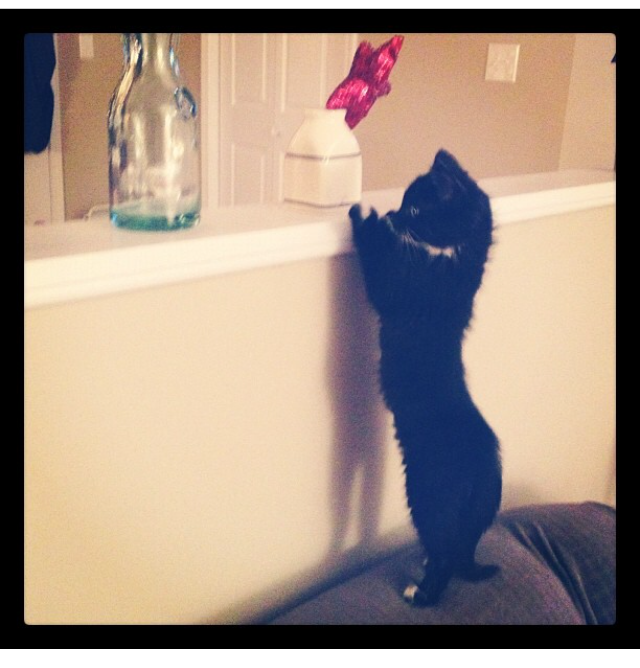 That pic of Thelma Lou is just so cute!! and happy belated birthday!!! Thank you, I’m so excited to wear it! Ooo that challenge looks like fun!! May have to join in. And love that dress! I don’t think we have any Charming Charlie stores near us. Haven’t heard of them before. Definitely check out their website – I’m pretty sure Charming Charlie is fairly prevalent in the South. They used to only sell accessories, but they’ve started carrying some really lovely clothing items as well.